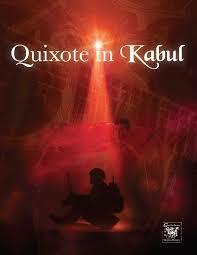 Quixote in Kabul reimagines Miguel de Cervantes’ classic novel Don Quixote as the inner journey of a Latino American soldier stationed in Afghanistan. Sergeant Quijana is a true patriot, following in the footsteps of his father, who fought in the first Gulf War. He takes a private named Sanchez (a contemporary take on Sancho Panza), under his wing, and inspires him to believe they are fighting for a just cause, just as knights of old fought for truth and chivalry. When a split-second decision in the field goes horribly wrong, Quijana loses his faith, and his grip on reality. Written with the help of Air Force veterans who served in Iraq and Afghanistan, and full of metatextual parallels to Cervantes’ novel that illuminate connections between past and present, Quixote in Kabul provokes questions of patriotism and the ethics of war, and explores the effects of Post-Traumatic Stress Disorder on soldiers. 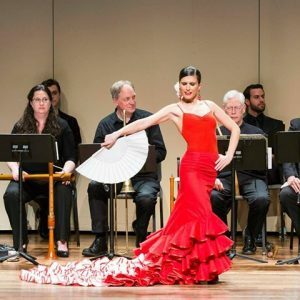 Commissioned by Boston University in 2015 on the 400th anniversary of the death of Cervantes and the publication of Part II of his Don Quixote de La Mancha. Directed by Megan-Sandberg Zakian, Assistant Directed by Tasia Jones, Musical Arrangement and Direction by Benjamin Juárez, Dramatury by James Iffland, starring Danny Bryck and featuring Gideon Bautista, Harsh Gagoomal, and Laura Sánchez.